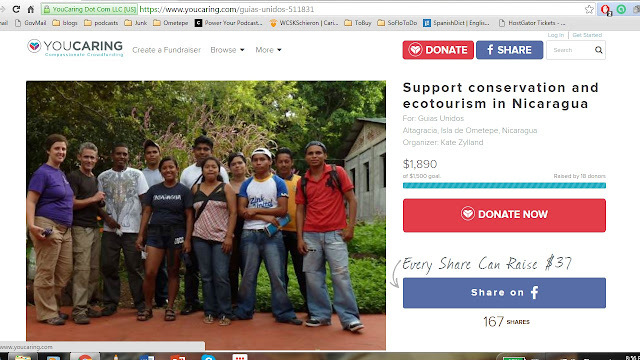 It's official - we are now OVER our goal for donations for equipment for the guides of Ometepe! Thank you to all our donors, to all of you who shared our pages, and to all our friends and followers! You're helping us amplify our impact, and for that we are truly grateful. And to all of you reading this, thank you for your interest. We can't tell you how much it means to us!